The report analyses the number and percentage of pupils achieving the GLD in each of the five key areas. A pupil has achieved GLD in a particular area if they are emerging or exceeding (also referred to as 2 or 3) in one of the five key areas. The important measure is the final one which indicates that they have achieved a GLD in all five key areas. The report also has another section (not pictured) which analyses the pupils who have exceeded (i.e 3 only) the GLD in any area and overall. Usefully this report can be run for any year group that was assessed using the current system of emerging, expected, exceeding (1,2,3) judgements. So it will run for this year’s reception classes and also for each year up to Year 4 in 2016/17. Earlier year goups were assessed under the 1-9 system and the report won’t work for them. Make sure you have installed the GLD marksheets (part of the 2017 EYFS wizards in SIMS), as described here. Unzip the file you have downloaded above to a file location you can find easily. Navigate the the ‘archive’ file which is located in your unzipped folder. Click the Import button. Notice that the status of the report will change to imported. 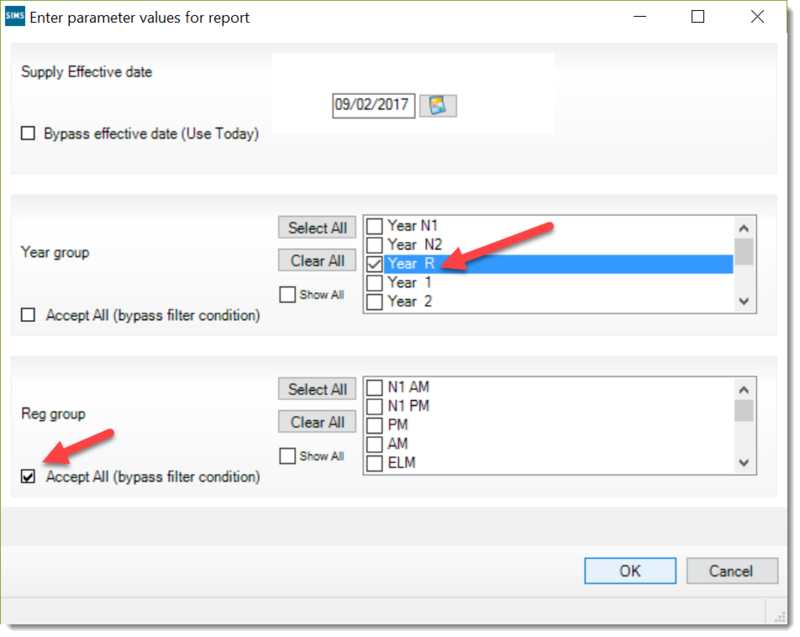 Make sure there’s a tick against the report name and against the ‘import associated templates’ option. Once you’ve clicked the import button you can close the import box. Make sure you press the save button. 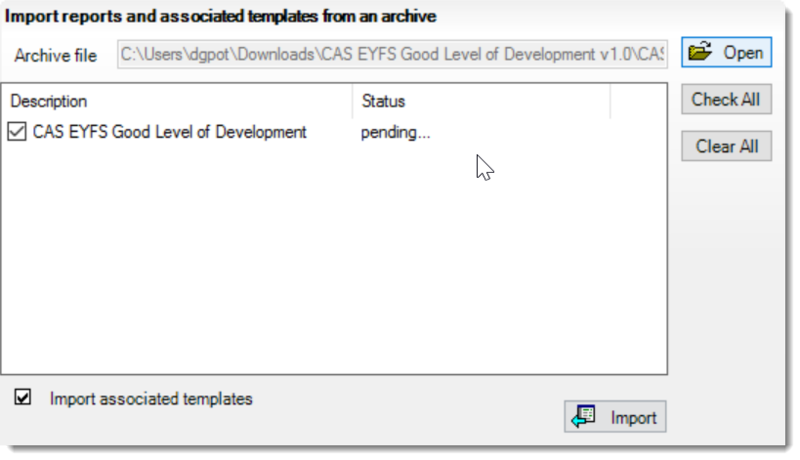 Click Student and then scroll down looking for the report called CAS EYFS Good Level of Development (below). Double click to run the report. Choose the year group you wish to analyse. For registration group make sure there’s a tick against the option to ‘accept all’ (below). Click on OK to run the report. The report will load in Excel. When the report loads you may get a security message warning about macros. You must click the button to enable macros to allow the report to run. You may also receive an message from Excel warning that the marksheet has been opened in read-only mode. You will need to open the report in read-write mode. Note that the national averages are from 2016 (regardless of which year group you are analysing). The ethnicity analysis is in the form of a drop down menu.